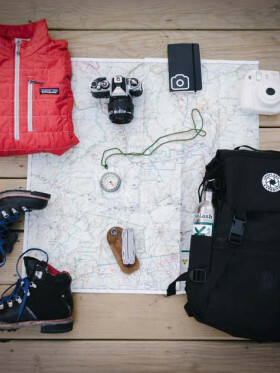 "Travelling not camping, unhappy camper"
With rates that will not burn a hole in your pocket and a large selection of vehicles to choose from, Happy Campers focuses on making their customers happy. Of course with their name, they are in for a world of pain if their customers are in fact, NOT, happy campers. Having a company name like that of Happy Campers can be a struggle. Well, you need to live up to that name, and with Happy Campers, it can be proven that not all companies fully define their names. 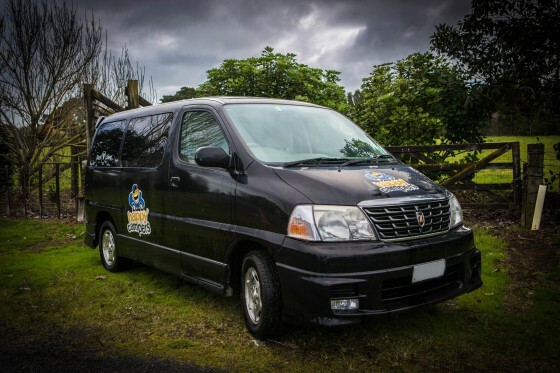 With depots in Auckland and Christchurch, this large rental entity offers value cost campervan hire with standard equipment, complimentary airport transfers, cleaning fees, camping park directors, route planners and more. They have a massive range of units so that you can choose the style of travel with rentals that won't cost a pretty penny. The Happy Sleeper, a 2000 to 2002 Toyota Estima, is one of the three automatic campervans on selection. This unit comes with a portable gas-grill, kitchen sink, CD player, large double bed, and storage space. 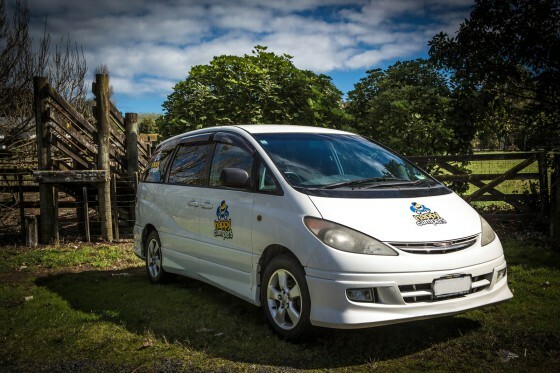 The CD player has an MP3 output, and the vehicle is equipped with dual batteries so that outgoing couple who want a smooth and fun ride will appreciate their NZ holiday even better. The Happy 2 is a deluxe camper that features a walk-through access from the driver’s cab to the rear cabin. This 2002/2003 Toyota Hiace SBV Hi-Top is equipped with a fold-away dining table that can be stored at night so that you can have a large double bed. The nicely designed kitchen includes a refrigerator, microwave, two-burner gas cooker, cookware, and storage cabinets. The 2003/2004 Ford Transit is a 2 berth camper that comes with a toilet. This well-furnished unit is a treat for those looking for extreme space with luxury features. With a spacious living area and foldaway table, the campervan is also very economical because of its power diesel engine. Travel in style and sleep in comfort with this self-contained unit. For couples or small families, the Happy 3 berth camper is convenient choice. 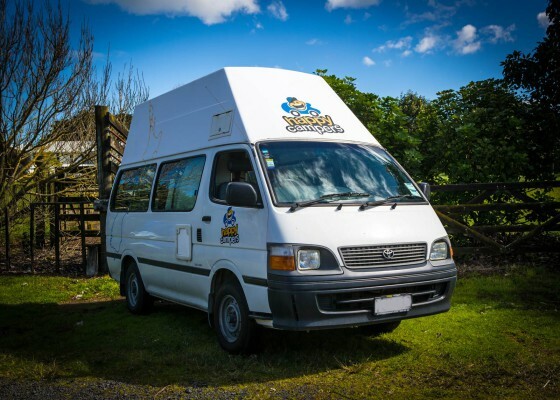 This 2003/2004 Toyota Hiace Hi-Top is the standard option for those looking for a budget 3 berth campervan with one double bed at the rear and one large single bed in the roof. Expect for a pleasant cooking session with the help of the shelf space kitchen speckled with a two-burner cooker, fridge, utensils, cupboard and more. 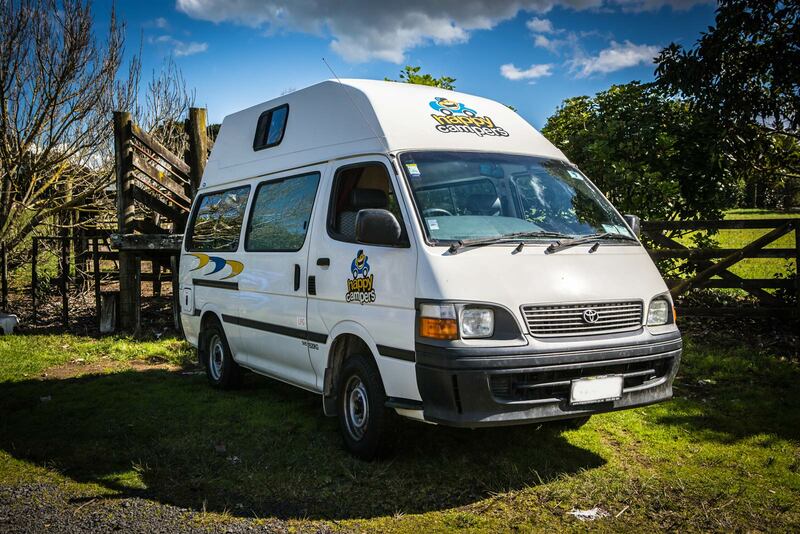 Take control of your own adventure and travel comfortably with this economical campervan. This 2005/2006 Toyota Hiace Hi-Top is relatively newer compared to the other Kuga 3 berth; hence, the name— Happier 3 Kuga. 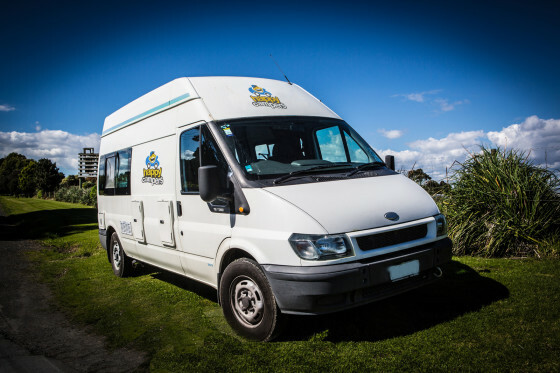 With its newer campervan model and added features, the unit is a great alternative in case the other one books out or you simply just want a more favorable campervan hire. Your happiness does not end there as the campervan also has bigger engine and fuel capacity with same fuel consumption as the other model. So, this means that this Happier unit actually makes you happier! Another from the Happy campervan series is the 4 berth, which is also the biggest and the most popular choice for touring families. This 2003- 2005 Ford Transit is a top of the range vehicle with full bathroom, elegant kitchen space, large living quarters and an internal access from the front cabin. Even with its luxury features, the campervan is still a charm for frugal travellers because of its powerful and economical diesel engine. Another sleek and compact rental with all the comforts you expect from a teeny camper in a car-size van is this 2000-2007 2 berth camper in automatic transmission. This is the only campervan in dark tone exterior that's why it's called Happy Black Sheep, but technically not a black sheep. Actually, this unique little camper is a fave pick among budget backpackers who'd love to explore the outskirts in a small van with just enough but essential facilities like comfortable bed with bedding, petite kitchen with fridge and single burner gas cooker, and entertainment set with CD player and MP3 output. The Original Sleeper is the last of the three automatic campervans being offered by the company. 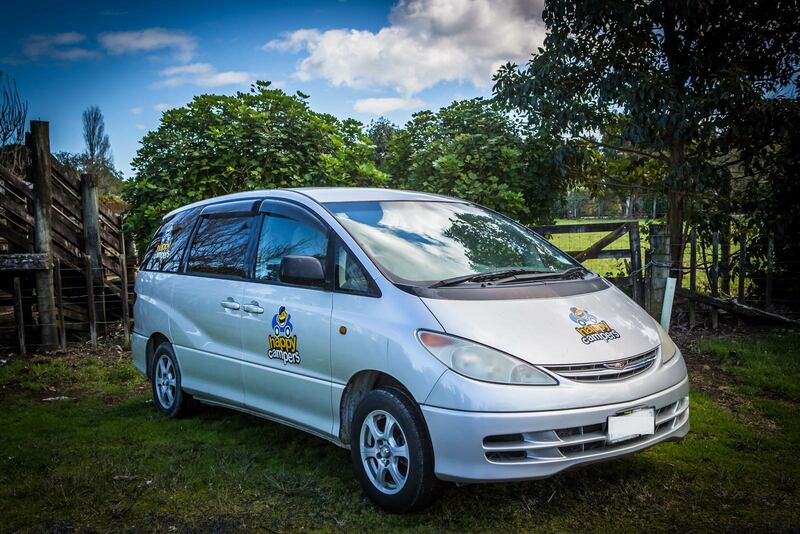 The campervan is a 1993 to 1999 Toyota Estima model, which means that this unit offers the oldest vehicles. The vehicle age, however, does not compromise the quality of your trip, though minor wear and tear features could be visible. 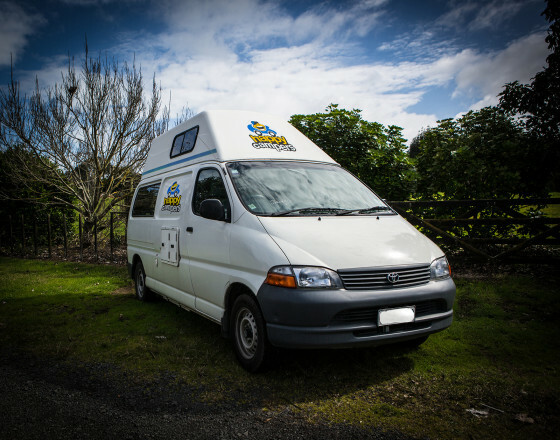 This budget sleepervan provides you with the basics, starting with the cooking/ storing amenities down to the good-sized double bed. Few extras like iPod/MP3 connection and auxiliary battery have been chucked to give you a more pleasant trip. The Original 3 berth camper is also an older model— a 1999 Model Toyota Hiace in particular. Because of the late model used, this is suitable for those on really tight budget but looking for a campervan with modern interiors. These 5 speed transmission vans are a pleasure to maneuver with petrol engine and power steering. 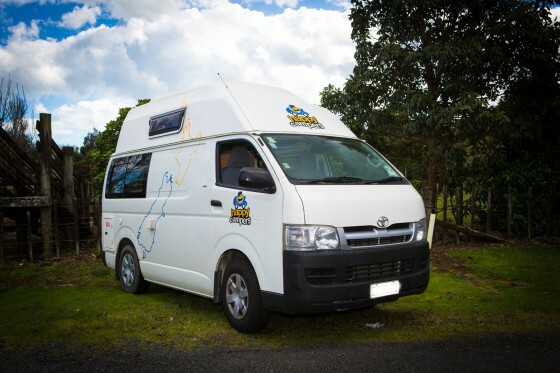 And to give you maximum comfort while on the road, you are stocked with a gas stove, fridge, sink with running water, dinette, and two large beds. 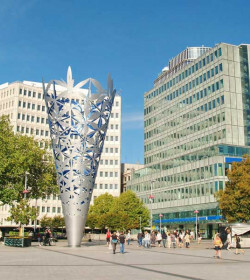 Silver: Happy 4 at NZ$30 per day for an excess of NZ$2,000, Happy 2, 3, HI5 and 2ST at NZ$15.00 per day for an excess of NZ$1250 and Happy & Black Sheep Sleepervans at NZ$12.50 per day for an excess of NZ$750. 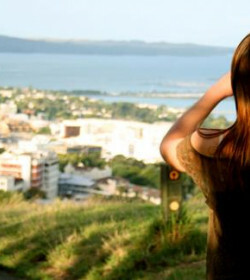 Gold: Happy 4 at NZ$45 per day for an excess of NZ$750, Happy 2, 3, HI5 and 2ST at NZ$22.50 per day for an excess of NZ$500 and Happy & Black Sheep Sleepervans at NZ$20 per day for an excess of NZ$125. Plus, inclusions of picnic table & chairs, baby seat and/or child booster seat as well one window, multiple windscreen chips and two tyres coverage. 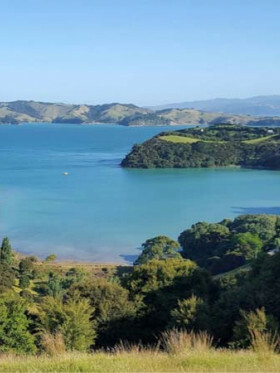 Platinum: Happy 4 at NZ$70 per day for an excess of NZ$0, Happy 2, 3, HI5 and 2ST at NZ$35 per day for an excess of NZ$0 and Happy & Black Sheep Sleepervans at NZ$32.50 per day for an excess of NZ$0. Plus, inclusions of GPS, outside BBQ, solar shower, porta potti, picnic table & chairs, baby seat and/or child booster seat, as well one window, multiple windscreen chips and two tyres coverage. Before, ratings were generally good for Happy Campers, with an average rating of 76/100. Some of the customers thought the size of their camper was perfect and comfortable, with all the necessary supplies and accessories. However, the reputation of the company is now flooded with lots of negative reviews that talk about disappointing customer service and constant maintenance issues during the rental, delayed refunds, and more. Though they have an extensive fleet of campervans on budget, renting from them needs careful deliberation. The main thing to notice about this mob is the age of the vehicles with nothing being newer than 2006 and some being as old as 1993. Pay close attention to the age of the vehicle during your booking process and don’t expect all things to be perfect inside the vehicle. And if ever you want to try your luck with them, then might as well bring your own tools, just in case! To start, customer service was a 2 hour wait after they took our bond and signed paperwork. Manager swearing and very agrivated, treated staff badly. One girl not trained correctly, served other campers before us after we paid. Booked 6 months in advance, our van was in the lot but got told someone else had it or it wasn’t working, note: it had a cleaned sign stating it’s ready for use. Expected our advanced booking would give us priority. Gave away camp chairs and table before us and told us to buy the equipment and keep a receipt when we paid platinum insurance and expected it all to be supplied. Got told we had another van that had cream plastic and olive seats, completely different layout to what we asked for. Got tranfered to a deisel vehicle, 1 minute later got told we take it or we don’t have a van. Drove fine, was decent on fuel. Handled good. Traction was horrible on slippery/loose surface. The drain hose for sink waste leaked, didn’t drain through hose just sat. Cooking pan was sticky with anything we cooked. Plastic spatula melted, no tongs. Plates and cup shelves weren’t designed for New Zealand’s windy roads, had cups and plates fall all over the place. Sharp screws pointing up in seat cussion and one actually lifts off its screws. Small fold out table,not what we asked for. We completed our trip and managed, purchased a lot of extras to leave in the van due to not having everything for proper meals. Terms say no bond with credit card, only pay bond if credit card isn’t available. We gave them a Visa card, they still took bond. Just wish the office was more organised, cared about what their customers are paying, felt like they just wanted money coming in. We hired a van with shower and toilet for 2 weeks and a bit. The company was fantastic. We had an older van (2004) so you have to understand that you get a cheaper rate for that - it's not brand new! It was mechanically no problem, clean and functional. We really recommend them because we found the company really helpful to us and very much appreciated the diligent assistance they gave. -we especially asked (before we booked) if they have a 220V inverter. They confirmed there is an inverter to charge the laptop on the go. There was none. None of their camper has one. So we had to go to campgrounds more often. -had to renew the car registration ourself the day after the pickup. It was overdue for more than 5 months! -2nd battery was weak from beginning. Fridge & light went out after 2h when we stopped. Got it measured, Battery was dead (wrong battery type and size anyway). Called the office and they directed us to a car dealer closeby where we got the battery replaced. Invoice went to the rental company. -Rosty propane bottle; security issue! Got refused to refill this rusty bottle many times. -Engine did stall when hot. Very few torque from idling. Could not start/accelerate uphill. Very scary! Everything else was ok or as expected when you rent on a budget. Conclusion: the cars are not checked before they send them out. Maintenance has to be done by customers. Bring some tools as you might need them! "The camper was okays, but really bad service"
But this is all very minor and these are things that you can expect when you rent low budget, right? The real hassle started when another camper hit our side mirror when we where parked. Since we where in the car at that moment we could contact the other party and that went very well. They where fully insured and our contact was pleasant. So we contacted happy campers to report the accident and they wanted us to buy a new mirror. Since we where almost at the end of our holiday I proposed the resolve the issue as soon as we return the camper. When we returned the car they charged us 125 NZD for the damages and gave us a receipt to claim back the damage. On the airport it appeared that they had given us a receipt for the wrong car with a wrong name. Thereafter it took us almost 2 week to get the right receipt. When we wanted to claim back the damage from Apollo campers they said the claim has to be issued by the owner of the car. Ever since I have been trying to contact Happy Campers, but they did not respond to any of my email. I came back from NZ in the beginning of March and I’m writing this review 2 months later. I knew I could not expect a lot but this is really below my expectations. This is what they call, bad service. If I would make a recommendation, do not rent with this company. Also it might be good to know that Happy Campers is the same company as Kiwi campers, but under a different name. 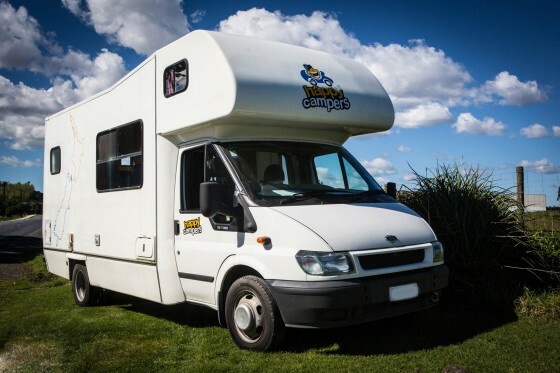 Rented a small camper and assumed the staff at Happy Canper did a complete check before letting it be rented. Once we were on the road and camping, all of the problems surfaced. Brakes shuddered at highway speed, only 1 burner worked on stove, both roof vents were inoperable and would not open, roof leaked, and cupboards were loose and starting to fall apart. They also charged us $375 fir a chip in the windscreen. Bottom line is they should never have let this van be rented without these safety issues addressed. Great holiday, poor service.